It is essential to maintain healthy vitamin D levels throughout all stages of life, from fetal development to old age. Vitamin D helps protect a number of important functions in the body. The current recommended daily vitamin D intake of 200-600 IU for adults is based on the minimum allowance to protect against bone disease. However, an upward revision of the FDA's guideline is now under consideration in light of new research, especially pertaining to immune function. Although direct sunlight exposure is a good source of vitamin D, many people do not get enough sun due to season change, latitude, or lifestyle. Therefore, vitamin D supplementation can be of great benefit in these cases. The Vitamin D Council (VDC) is a non-profit organization of medical professionals, vitamin D researchers, and concerned citizens whose goal is to educate professionals and the public on vitamin D deficiency and its associated health risks. The VDC recommends an average of 5,000 IU/day vitamin D for adults. Better yet, they suggest testing 25-hydroxyvitamin D levels and dosing accordingly. Ideal blood levels should fall between 50-80 ng/mL. 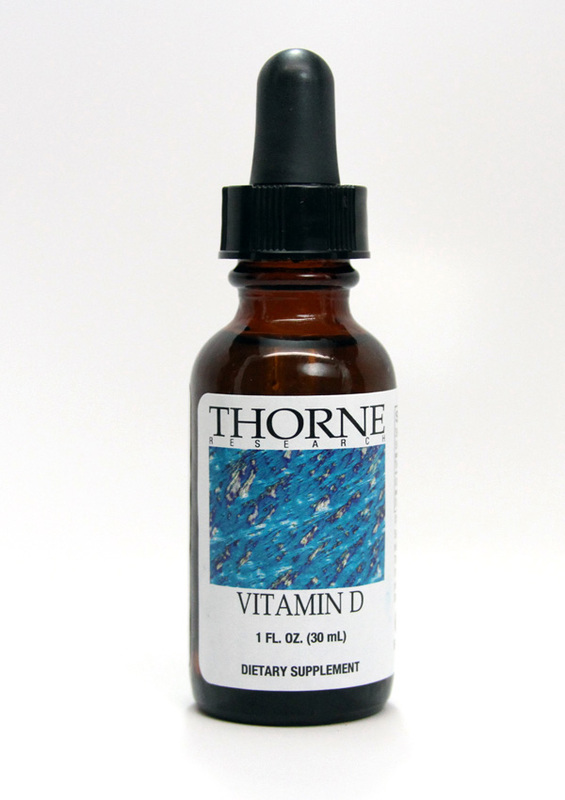 Thorne's Vitamin D Liquid is in a base of medium chain triglyceride oil, preserved with mixed tocopherols. Take 2 drops one to three times daily, or as recommended by a health-care practitioner. Vitamin D Toxicity: A 16-Year Retrospective Study at an Academic Medical Center.